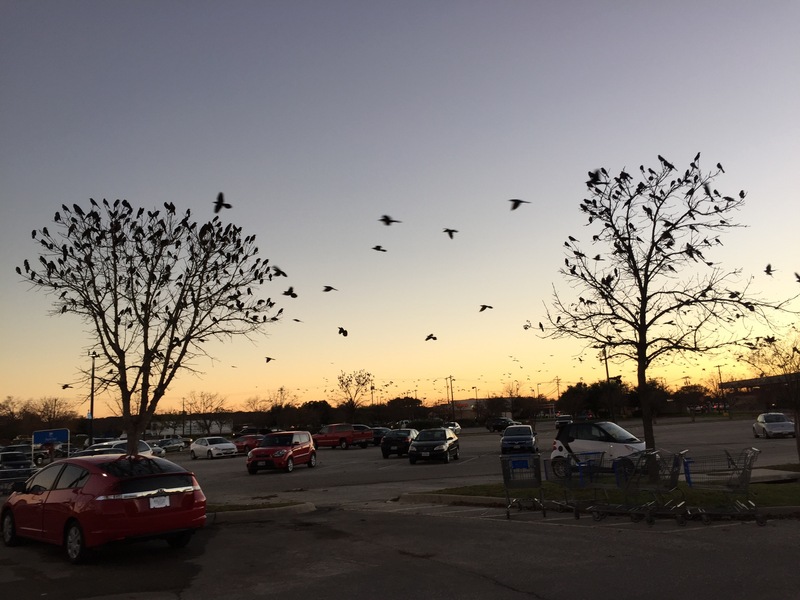 Did you know grackles grow on trees? 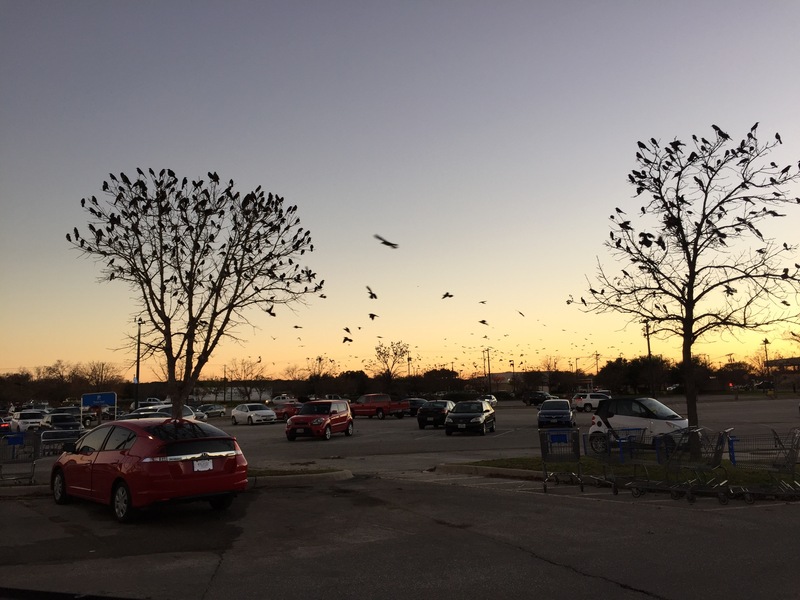 At least it seemed that way in the parking lot of a local store tonight. 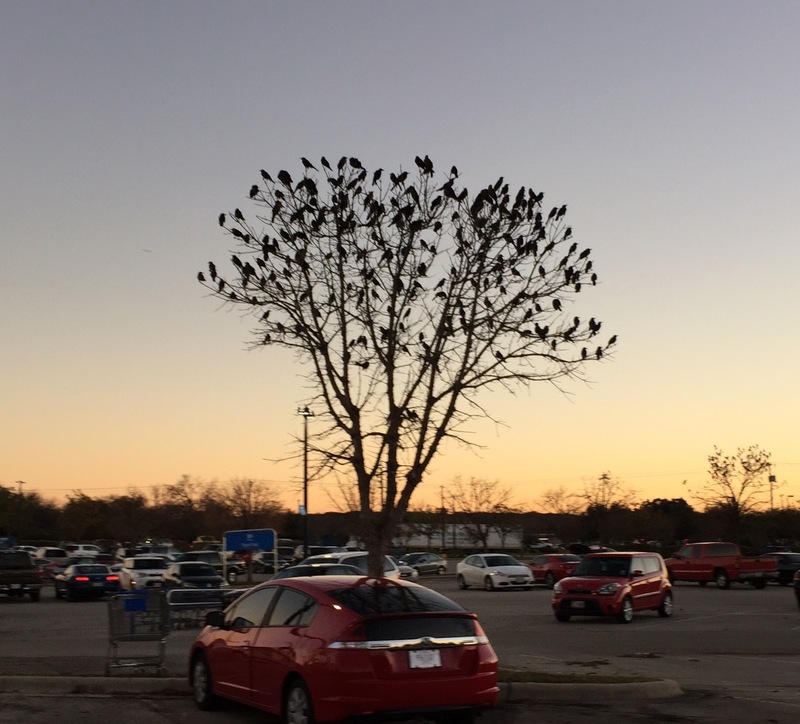 There was quite a bit of traffic, but I was amazed at how long they remained perched on the trees. Then something would spook them and they’d fly up and around for a minute, only to reclaim their place on the branches. If you look closely in the background of the next two photos, you can see the hundreds (maybe thousands?) of grackles flying around, waiting to land on either a tree of power line. 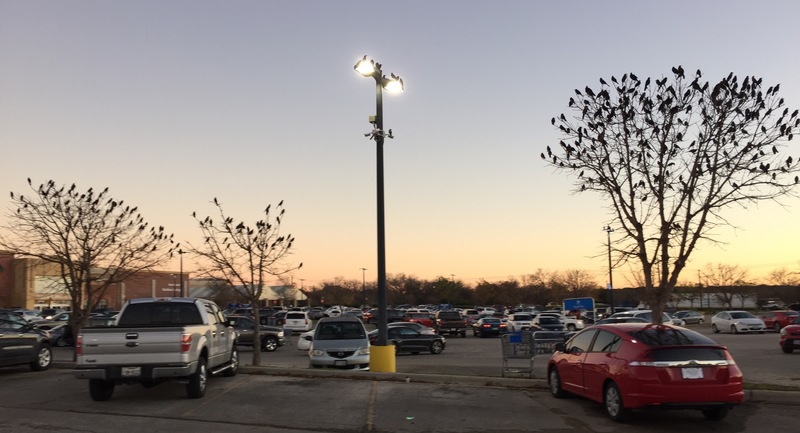 It amazes me that so many grackles can survive in the same area at the same time. I guess we can thank our disposable, litter-happy, fast-food-eating society for providing enough for all of them. 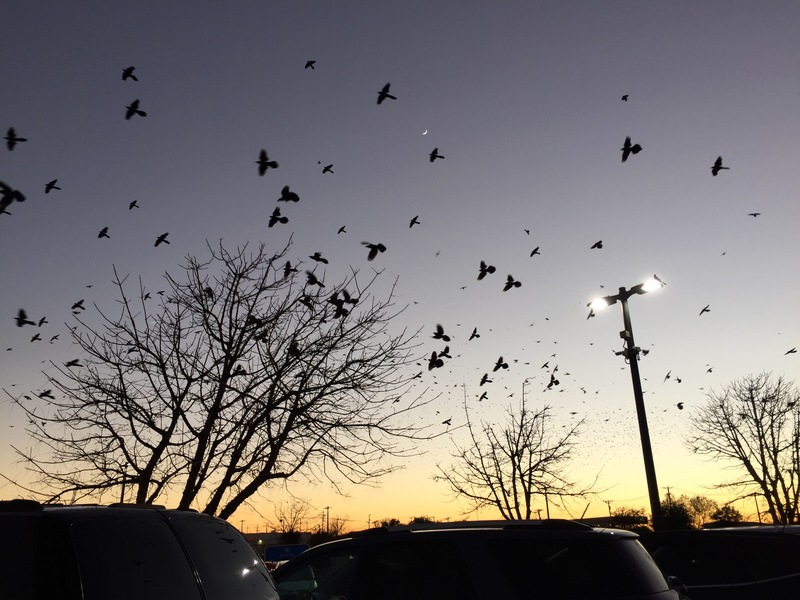 This entry was posted in Uncategorized and tagged birds, grackles on December 14, 2015 by Julie Riebe. Oh, and thanks! I love taking photos of grackles! That is a beautifully composed shot in the opener. Grackles are very resilient and adaptable, and there are few predators which can catch them, which is why they do so well in human places. Very smart birds. I don’t know why, but every time I see that photo I think of the Lollipop Kids from “The Wizard of Oz.” Strange, but that’s what comes to mind!